We believe deeply in the power of healthy food and the natural world to awaken the spirit, restore well-being, and fully engage children in the act of learning. Our intentionally designed garden programs make learning fun, tactile, and memorable for youth. Join us this Giving Tuesday, a global day of giving to kick off the charitable season on November 27, 2018. There's so much to be thankful for and on this #GivingTuesday please consider making a donation that will enable children and youth to explore and learn with us in nature! Unfortunately, access to safe green spaces is not available to all DC youth: neighborhoods in the eastern half of the city experience high levels of poverty, diet-related diseases, and the lowest standardized science test scores in the nation. The children showed an unprecedented level of enthusiasm for the names of plants and the work of harvesting them. It was refreshing to see them so cooperatively engaged. They are a very kinesthetic group, and the chance to feel, taste, and smell real plants was very powerful for them. 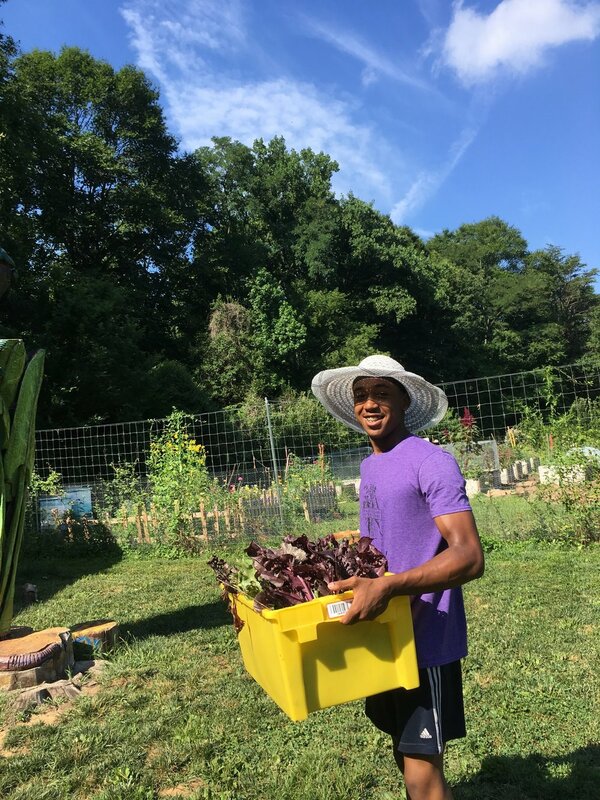 Washington Youth Garden is a program of Friends of the US National Arboretum (FONA). FONA is a 501(c) (3) nonprofit organization under IRS guidelines. We therefore acknowledge that your donation is fully tax deductible and that no goods or services were rendered in return for your contribution. The FONA tax I.D. number is # 521257712.